Welcome, readers! Please sign up for my occasional newsletter to stay current on news. NEWS: Delivering the Truth is nominated for a Macavity Award, for the Sue Feder Award for Best Historical Novel! Winners are announced at the Bouchercon opening ceremonies in Toronto in October. I’m Agatha-nominated and national best-selling author Edith Maxwell, aka Maddie Day, and I write four mystery series, with twelve published books and many more under contract. I’m currently working on my sixteenth novel and I couldn’t be happier. As Maddie Day I write the wildly popular Country Store Mysteries, from Kensington Publishing. When the Grits Hit the Fan released at the end of March, including in audio. As Edith Maxwell, I write the historical Quaker Midwife Mysteries. Called to Justice came out from Midnight Ink in April, 2017. We went on an historical book launch walking tour last spring – and you can take the tour yourself on YouTube! Also as Edith I write the Local Foods Mysteries series, also from Kensington. Mulch Ado About Murder released in May, the fifth in this popular series set on an organic farm. And Maddie Day has a three-book contract with Kensington Publishing for a new cozy foodie mystery series! The Cozy Capers Book Group Mysteries will debut in fall, 2018, with Murder on Cape Cod. Mackenzie Almeida runs a bicycle repair and rental shop in a fictional Cape Cod village, and also hosts a weekly cozy mystery book group. 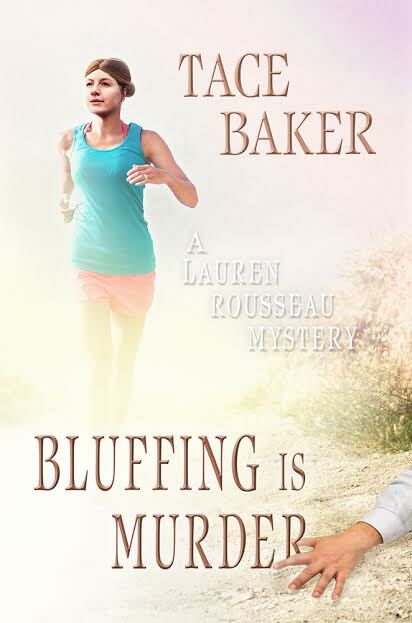 Just to keep things interesting, I’ve written under the name Tace Baker, as well, with two Lauren Rousseau Mysteries from Barking Rain Press. As Edith Maxwell I also write Agatha-nominated and award-winning short crime fiction. Welcome to my world of cozy and historical mysteries. I hope you’ll visit my group blog, where I post with five other New England cozy mystery author-friends every week day over at WickedCozyAuthors.com. We were even featured in the Boston Globe. I also blog at Killer Characters on the third of the month, and with other Midnight Ink authors on the second Thursday of the month. My latest author newsletter is here. The banner on this site is a horizontal slice of a gorgeous oil painting by the Boston area artist Jackie Knight titled “Edith’s World.” My dear friend, author Jennifer J. Yanco, commissioned it for a milestone birthday of mine.